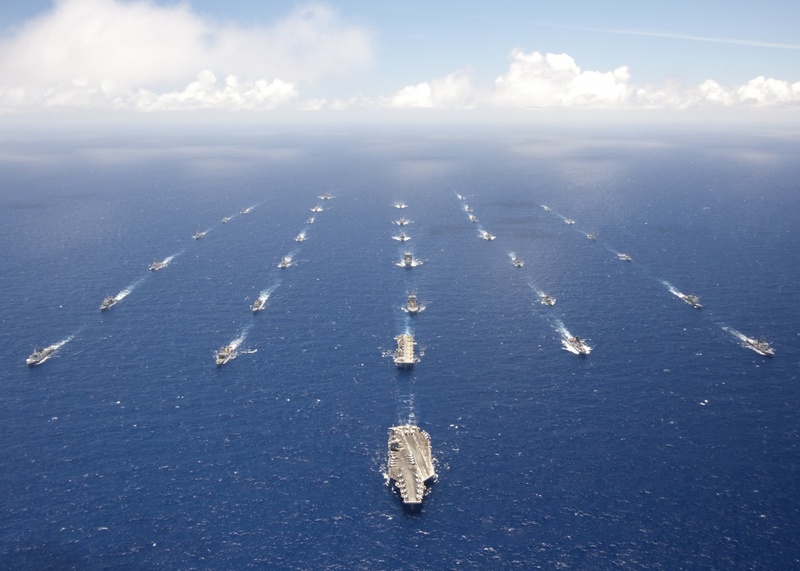 RIMPAC is the world’s largest international maritime exercise. Navy officials say the exercise provides a unique training opportunity designed to foster and sustain cooperative relationships that are critical to ensuring the safety of sea lanes and security on the world’s interconnected oceans. RIMPAC 2018 is the 26th exercise in the series that began in 1971. Participating nations and forces will exercise a wide range of capabilities and demonstrate the inherent flexibility of maritime forces. These capabilities range from disaster relief and maritime security operations to sea control and complex warfighting. The relevant, realistic training program includes amphibious operations, gunnery, missile, anti-submarine and air defense exercises, as well as counter-piracy operations, mine clearance operations, explosive ordnance disposal, and diving and salvage operations. This year’s exercise includes forces from Australia, Brazil, Brunei, Canada, Chile, Colombia, France, Germany, India, Indonesia, Israel, Japan, Malaysia, Mexico, Netherlands, New Zealand, Peru, the Republic of Korea, the Republic of the Philippines, Singapore, Sri Lanka, Thailand, Tonga, the United Kingdom, the United States, and Vietnam. This is the first time Brazil, Israel, Sri Lanka and Vietnam are participating in RIMPAC. Additional firsts include New Zealand serving as Sea Combat Commander and Chile serving as Combined Force Maritime Component Commander. This is the first time a non-founding RIMPAC nation (Chile) will hold a component commander leadership position. This year will also feature live firing of a Long Range Anti-Ship Missile (LRASM) from a US Air Force aircraft, surface to ship missiles by the Japan Ground Self-Defense Force, and a Naval Strike Missile (NSM) from a launcher on the back of a Palletized Load System (PLS) by the US Army. 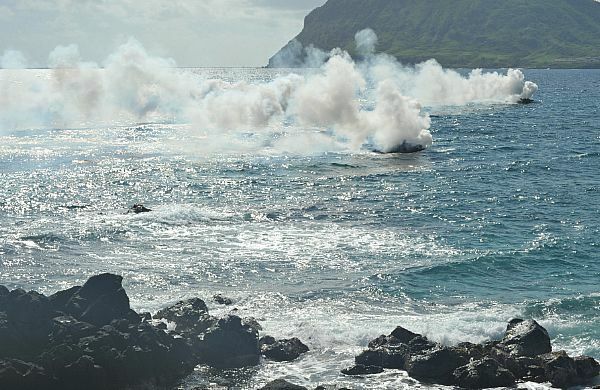 This marks the first time a land-based unit will participate in the live-fire event during RIMPAC. 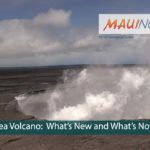 RIMPAC 18 will also include international band engagements and highlight fleet innovation during an Innovation Fair. Additionally, for the first time since RIMPAC 2002, US 3rd Fleet’s Command Center will relocate from San Diego to Pearl Harbor to support command and control of all 3rd Fleet forces in 3rd Fleet’s area of responsibility to include forces operating forward in the Western Pacific. The Fleet Command Center will be established at a Deployable Joint Command and Control on Hospital Point, Pearl Harbor, for the first part of the exercise and then transition to amphibious transport dock ship USS Portland (LPD 27) for the remainder of the exercise. Hosted by Commander, US Pacific Fleet, RIMPAC 2018 will be led by Commander, US 3rd Fleet, Vice Adm. John D. Alexander, who will serve as Combined Task Force (CTF) commander. Royal Canadian Navy Rear Adm. Bob Auchterlonie will serve as CTF deputy commander, and Japan Maritime Self-Defense Force Rear Adm. Hideyuki Oban as CTF vice commander. Fleet Marine Force will be led by US Marine Corps Brig. Gen. Mark Hashimoto. Other key leaders of the multinational force will include Commodore Pablo Niemann of Armada de Chile, who will command the maritime component, and Air Commodore Craig Heap of the Royal Australian Air Force, who will command the air component. 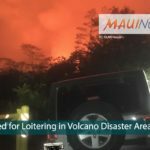 Volcano Discussion: Is the Kīlauea Eruption a New Event?